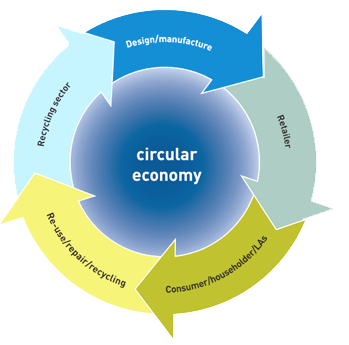 A circular economy is a regenerative system in which resource input and waste, emission, and energy leakage are minimized by slowing, closing, and narrowing energy and material loops; this can be achieved through long-lasting design, maintenance, repair, reuse, remanufacturing, refurbishing, recycling, and upcycling. And is an industrial system that is restorative or regenerative by intention and design. First, at its core, a circular economy aims to design out waste. Waste does not exist: products are designed and optimized for a cycle of disassembly and reuse. From a linear to a circular economy: For a long time, our economy has been ‘linear’. This means that raw materials are used to make a product, and after its use any waste (e.g. packaging) is thrown away. In an economy based on recycling, materials are reused. 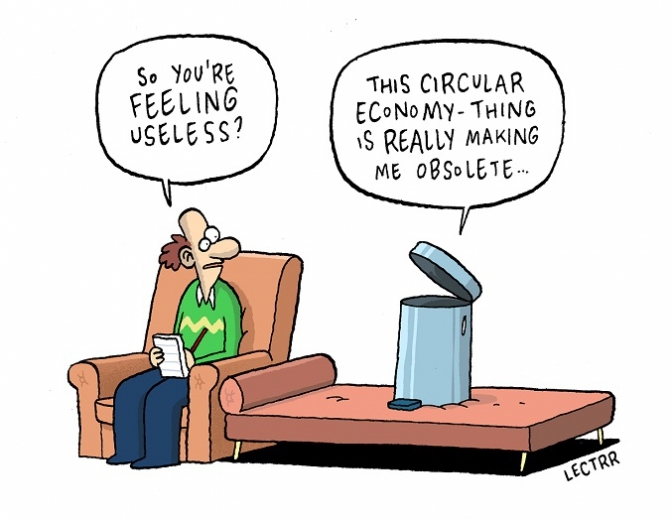 A circular economy is an alternative to a traditional linear economy (make, use, dispose) in which we keep resources in use for as long as possible, extract the maximum value from them while in use, then recover and regenerate products and materials at the end of each service life. What is Cradle to Cradle definition? Cradle-to-cradle design (also referred to as Cradle to Cradle, C2C, cradle 2 cradle, or regenerative design) is a biomimetic approach to the design of products and systems that models human industry on nature’s processes viewing materials as nutrients circulating in healthy, safe metabolisms. What is meant by cradle to grave? The cradle is where you start life, and, of course, the grave is where you end it. In business, the term cradle to grave is used in reference to a firm’s perspective on the environmental impact created by their products or activities from the beginning of its life cycle to its end or disposal. Closed-loop systems are the backbone of a circular economy – one which looks to keep materials engaged in a circular way, recycled and reused throughout rather than used once and turned into waste. Recycling is the engine of this process, but poor design can limit recoverability. That’s one reason Dell focuses on limiting glues, using snap fits and other design considerations that make it easy to recycle our technology. ReWorksSA and New Earth are working together to build a circular economy in San Antonio. This eco positive and regenerative process turns organic waste, of which was once a liability, into an asset providing nutrient rich soils, compost and mulch. This is a benefit to the city and public by saving money, creating quality sustainable jobs, and new marketplace with a valued product that can be used across a large variety and number of industries. If you have a business, contact ReWorksSA to learn about the documented benefits of recycling, strengthening your company’s brand and retaining employees, and the overall process of circular economy solutions, to be more profitable and prepared for this new way of doing business that increases efficiency and reduces costs while retaining value. 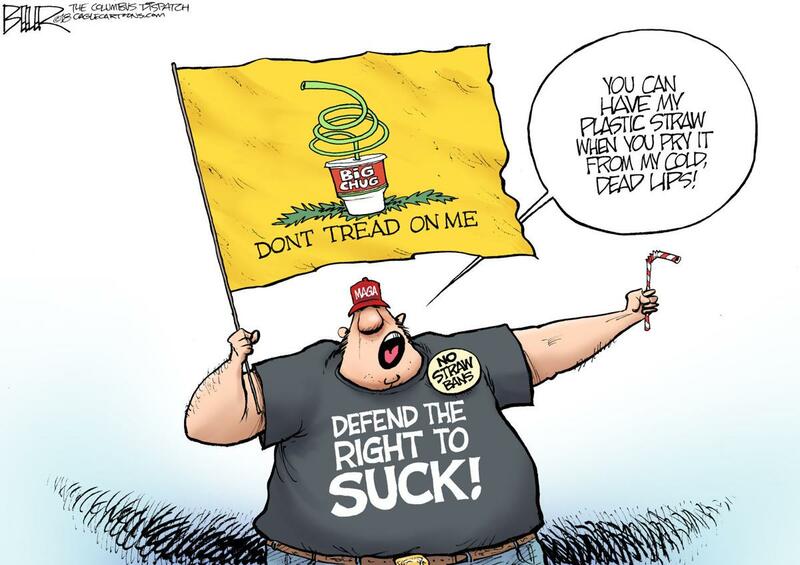 A circular economy application for that feeling of, “Don’t tread on me”. When products and processes are designed and developed to be either recyclable, reusable or biodegradable they are engineered differently. This creates a world of jobs and economic opportunities giving rise to the principles of biomimicry as a common practice drawn from the earth’s billions of years-old knowledge and expertise which empowers our species to live more resiliently as an asset to the planet and freedom loving humankind. Extra, Extra, read all about it…get your straw history on.